Here’s a fun clock, which is bound to brighten up your geeky apartment, the Three Face Wall Clock. As the name suggests, instead of having one face like a traditional clock, the Three Face Wall clock has 3 and is actually made up of three different clocks which are put together to display the time. One clock displays the time in hours, the next one displays it in minutes and the final one displays the time in seconds, very cool! 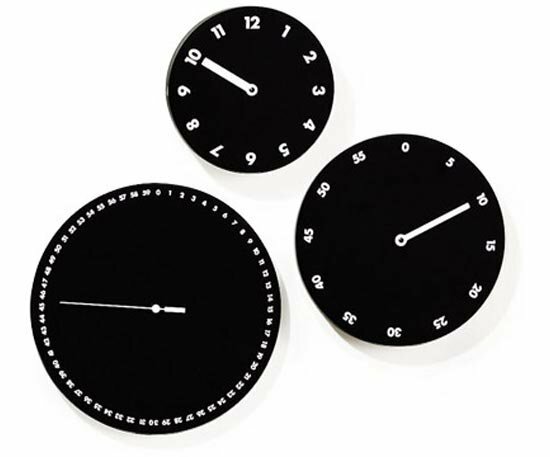 If you want one of these funky Three Face Wall Clock’s they are available for $295 from Momastore.